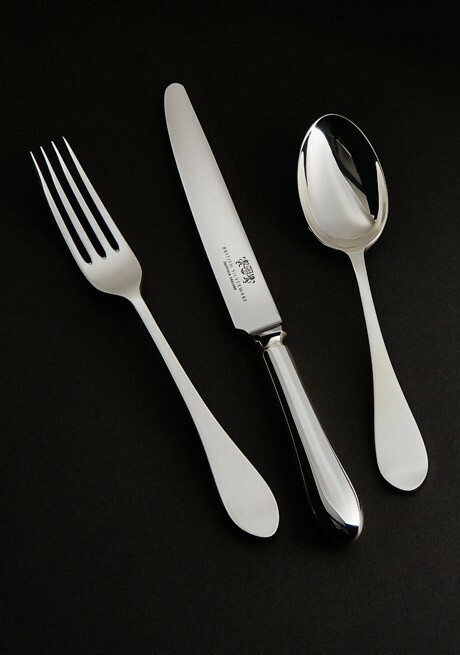 During the evolution of cutlery-making in Sheffield, companies owned different patterns made by blanking companies for their own use and the term Private Patterns was born. Today, many of the Private Patterns produced by the blanking companies have been swallowed into general trade use. 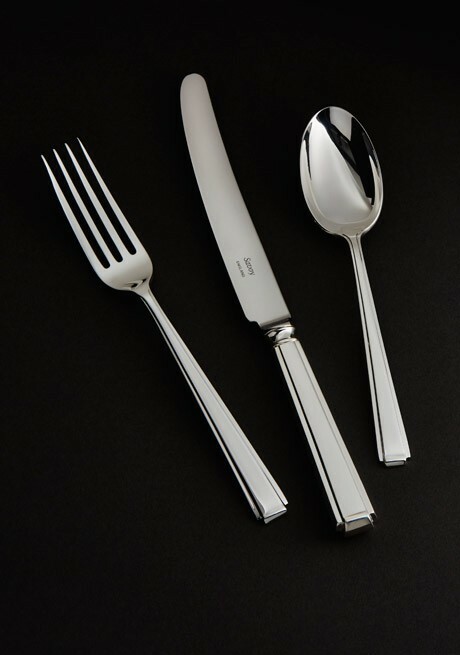 However, British Silverware is in a privileged and unique position. The family of companies within British Silverware include companies that had their own blanking facilities: James Dixon & Sons; C.J.Vander; Roberts and Belk. This means that the Private Patterns have remained private and unique to the company with the very important detail intact. Over the years these patterns were often supplied exclusively to companies like Mappin & Webb or Asprey in London. The simple lines of Robert Adams' architecture are the inspiration for this uncluttered design. The classic pattern is decorated with fine pearl-like beads. 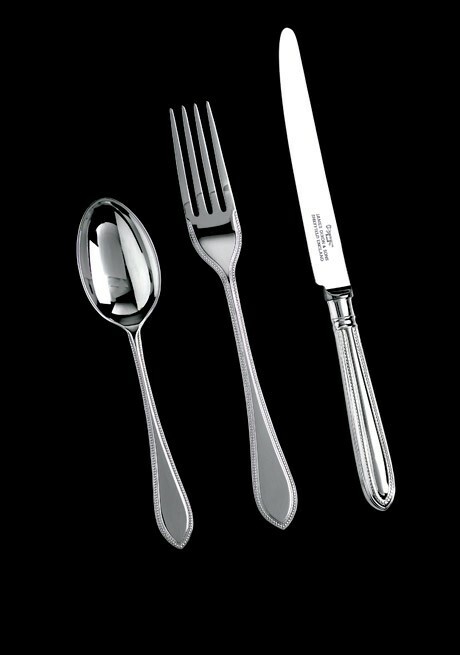 The clean distinctive design is simple and elegant with soft lines at the apex; a contrast to its Art Deco predecessors. This pattern has a lightness and grace in structure. It is influenced by the intricate style of Byzantine and Moorish Gothic buildings in Venice with their ornate decoration and 'pointed arche'. Ideal for personalisation in the cartouche. 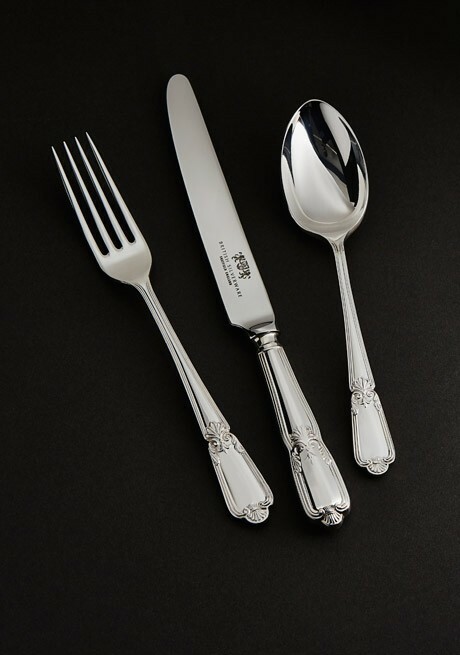 A finely detailed beaded pattern bearing the name of the illustrious designer/Silversmith. It is typical of the restrained delicate style of her work in the 18th century and fully justifies the continuous interest in her creations today. Introduced at the height of Queen Victoria's reign, this design is like no other coming from James Dixons & Sons' private collection of patterns and dies. Note the heel or pattern on the back of Wellington and other spoons and forks where the handle is 'set' into the bowl or prongs; this added quality requires additional processes. Strikingly modern in appearance, the design is in fact an Art Deco original and proof of the timeless appeal of that era. When it was first made it was the pattern chosen by the world famous hotel The Savoy in London, England. 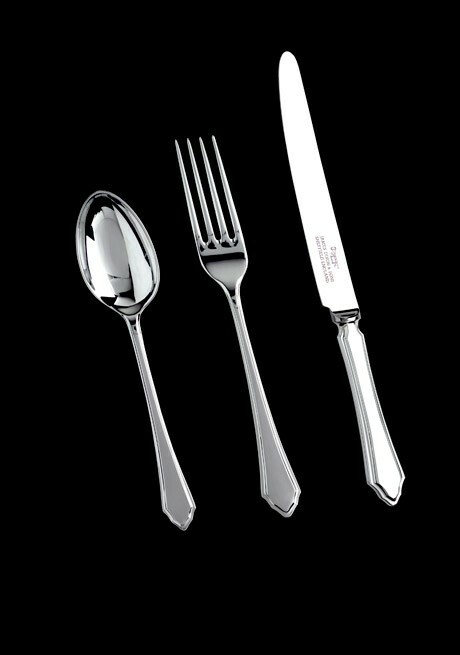 A 21st century pattern with its root in traditional techniques of manufacture ensuring fine balance in the hand and elegance on the contemporary table. Inspired by the art of the ancient Celtic tradition, this charming faceted design is an adaptation of designs from the 18th century. 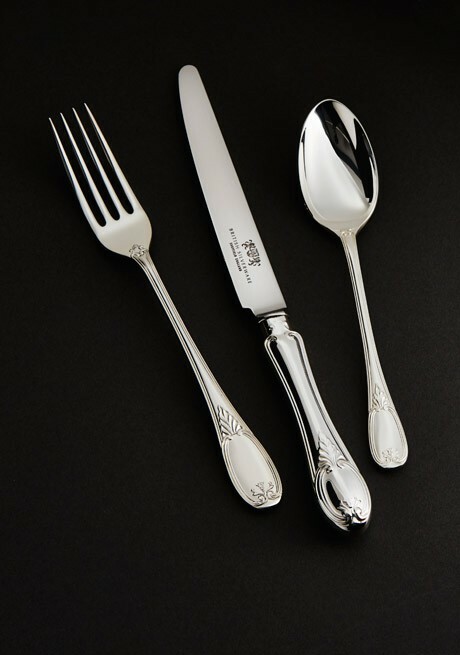 The graceful cartouche looks equally attractive engraved with private crest or left plain. A refined and graceful pattern but not over elaborate, this design is inspired by royal courts. The design is characterised by an elaborate heel pattern that demands great skill and special techniques to produce. 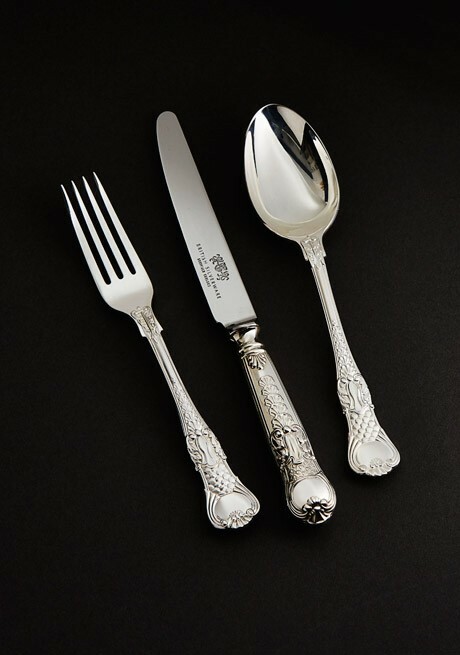 A brilliantly detailed Regency period pattern first made about 1812, and much favoured by Paul Storr, the celebrated London Silversmith.